You can’t always guarantee you’re going to move during a perfect time. Sometimes the apartment of your dreams opens up in the middle of summer. Sometimes, after months of back and forth, you close on your first home as the snow starts to fall. 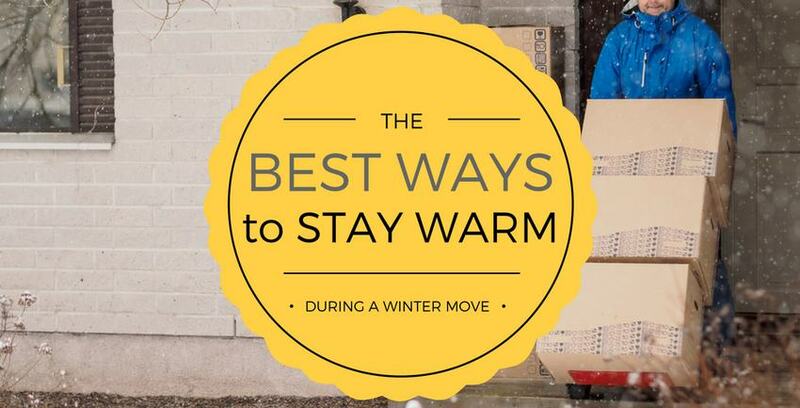 Moving during an extreme season doesn’t have to be horrible, and since we’ve already given you tips on how to stay cool during a summer move, we’re now here to help you stay warm during the colder months. Wear some proper winter gear. In the wintertime, most of your body heat escapes through the top of your head and the bottom of your feet. Keep warm and cut the heat waste off by decking out in proper winter gear. Pull a nice wool hat on your head and keep your boots tied tight to take the first step toward warmth during a winter move. Also recommended: mittens, scarves, sweaters knitted by your grandma. Break out the hand warmers. Hand warmers are most frequently used by hunters and outdoor sports aficionados to keep their extremities safe during freezing temps. Moving house can be considered an extreme sport under the right circumstances, so sticking some hand warmers in your gloves and boots could be all you need to stay comfortable during an afternoon of work. Try to do most of your moving during late morning and early afternoon. These are the times of day where the sun is located highest in the sky, which leads to the most forgiving winter temperatures. Combine this with some of our other tips and your moving day could go from just comfortable to actually sort of fun. The easiest way to beat the cold is by letting your body get used to the temperatures. Instead of going inside to warm up, waiting, then going out again; it’s better to just stay in the cold, let your body adjust, and get the work done. Don’t listen to people who tell you to drink a hot toddy. Alcohol actually lowers your core body temperature, so don’t take a hot shot of whiskey or spiced cider break in the middle of your move. The brief taste of warmth might feel good, but it’ll end up harming you in the long run. Interestingly enough, staying hydrated has been scientifically proven to help retain body heat. The more water in your system, the better your body heat is contained. Keep drinking water as you venture out in the slush and snow to stay warm while you carry furniture. If after all the hard work you put into staying warm during your move, you find yourself without enough space to keep everything organized – don’t fret! Storage Direct has the solutions to help you both during and after your move with solutions to fit anyone’s needs. Contact us today to learn more about how we can help you.